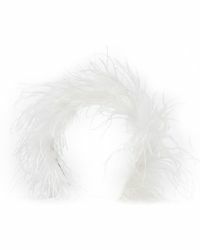 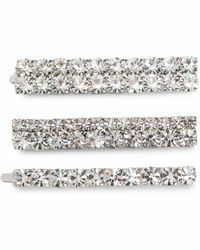 These Alessandra Rich hair accessories will bring an elegant feminine feel to your look. 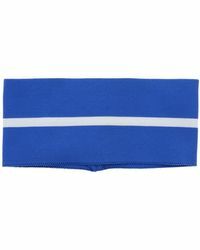 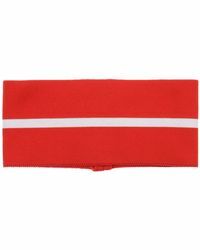 You'll find headbands crafted from soft cotton blends in a vibrant palette that spans bold rich colors to monochrome hues. 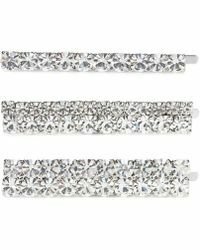 Look out for striking stripes and eye-catching faux pearl and crystal embellishment. 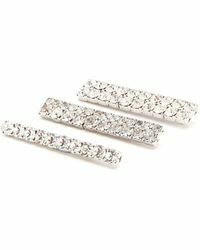 Wear these Alessandra Rich hair accessories to add a statement finish to day or evening looks.